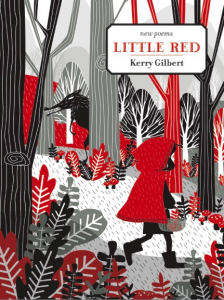 Join Okanagan author Kerry Gilbert for an evening celebrating the release of her poetry book Little Red. Kerry will be joined by special guest, poet John Lent. Refreshments will be served. Receptions are open to the public and all ages. Kerry Gilbert grew up in the Okanagan and has lived on Vancouver Island, in South Korea, and in Australia. She now live back in the Valley, where she teaches Creative Writing at Okanagan College and raises her three children. Her first book of poetry, (kerplnk): a verse novel of development, was published in 2005 with Kalamalka Press. Her second book of poetry, Tight Wire, was published in 2016 with Mother Tongue Publishing. Tight Wire was on the ReLit Long Shortlist for 2017. Most recently she won the Gwendolyn MacEwen Poetry Award for Best Suite by an Emerging Writer 2016/2017. The suite was the core of a new verse manuscript – Little Red. Kerry was also shortlisted for the Ralph Gustafson Prize for the Best Poem, for the Pacific Spirit Poetry Contest and for the Gwendolyn MacEwen Poetry for Best Suite by an Established Writer. You can learn more about Kerry and her work here.